From Richard Powell and Zach Green’s Fatal Pictures, the company that brought you the critically acclaimed, award winning short horror films Worm and Familiar, comes their forthcoming and final short film Heir, a touching tale of a father and son starring the Emmy award-winning Bill Oberst Jr. (Abraham Lincoln vs. Zombies, Take This Lollipop, Children of Sorrow) and Robert Nolan (Sick, Worm, Familiar). • The full rights to an original, unproduced short film script from Fatal Pictures will be up for grabs. Make it, expand it into a feature, do whatever you like with it, it’s yours! The script, entitled VESSEL, embodies everything that makes a Fatal Pictures short film what it is; complex characters, disturbing social commentary and our signature blend of horror and drama. Matchflick.com describes VESSEL as “a unique blend of WHATEVER HAPPENED TO BABY JANE and FRANKENSTEIN”. • The original HEIR poster painting, signed by key members of the cast and crew. This is a one of a kind reward that one special supporter will claim. • For fans of our previous film Familiar, we will be creating limited edition dvd/blurays, which will feature an extra special, exclusive bonus feature, which will remain a secret until the discs ship. These limited editions will be the first physical release of Familiar for home use from Fatal Pictures, something that’s been a long time coming! • Continuing with the exclusives, two major props from our previous films will be up for grabs! From WORM, Geoffrey Dodd’s suitcase of horrors (hand crafted by writer/director Richard Powell) and from FAMILIAR, the squid monster which John Dodd digs out from his leg! This unique piece of our filmmaking history was created by the spectacular FX team The Butcher Shop (the same team on HEIR) and comes covered in dried blood and all! These are just a few of our unique rewards, more to be announced shortly! Powell and Green will join forces with accomplished collaborators including Oberst Jr., as well as Marc ROUSSEL and Ron Basch from Red Sneakers Media, to bring Heir to the horror fans. 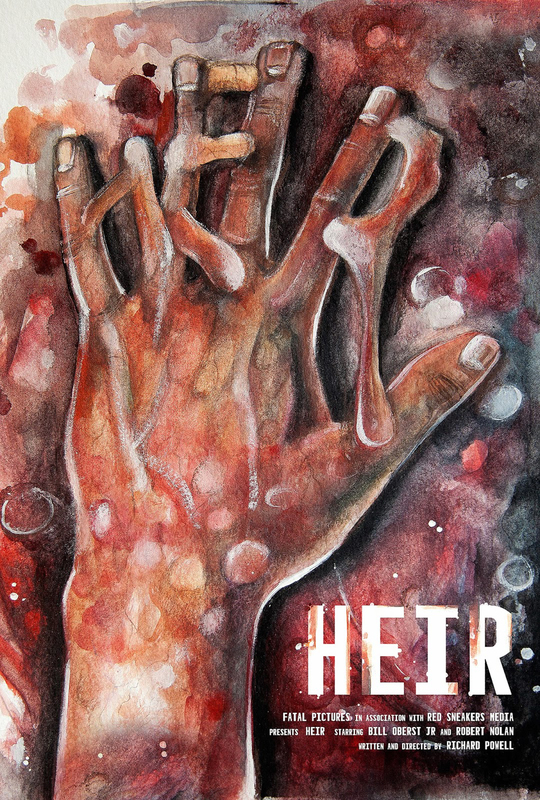 Heir is set to be a disturbing, practical FX-driven horror short that examines one of society’s darkest taboos in a way only Fatal Pictures can. After connecting with a stranger of similar interests online, family man Gordon and his son Paul, embark on an ill-fated road trip in which Gordon aims to indulge in a secret passion. Before the day ends a horrible truth will be uncovered and a harsh lesson will be learned. 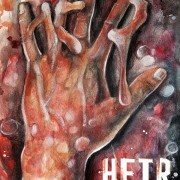 “Powell and his producing partner Zach Green are breaking new and horrific ground with Heir. This project shows that the pair’s festival monster Familiar was no fluke; Powell and Green are in the vanguard of horror’s new cinematic masters. 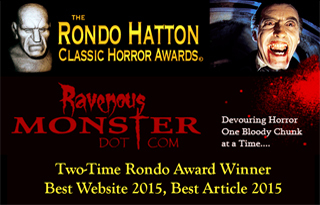 Heir is an honest-to-God, bona fide new notion of terror.”—Bill Oberst Jr. Familiar can be seen on FEARnet and at the link.